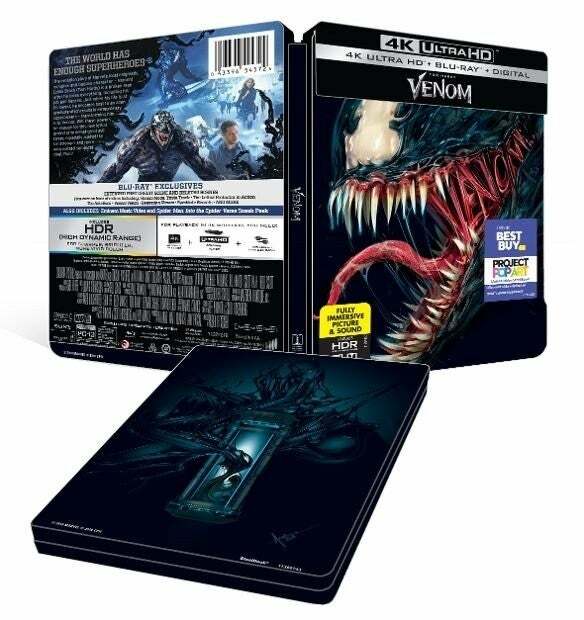 Sony Pictures Home Entertainment will release Tom Hardy’s Venom to 4K Ultra HD and Blu-ray with retailer exclusives offered by Best Buy, Target and Amazon. 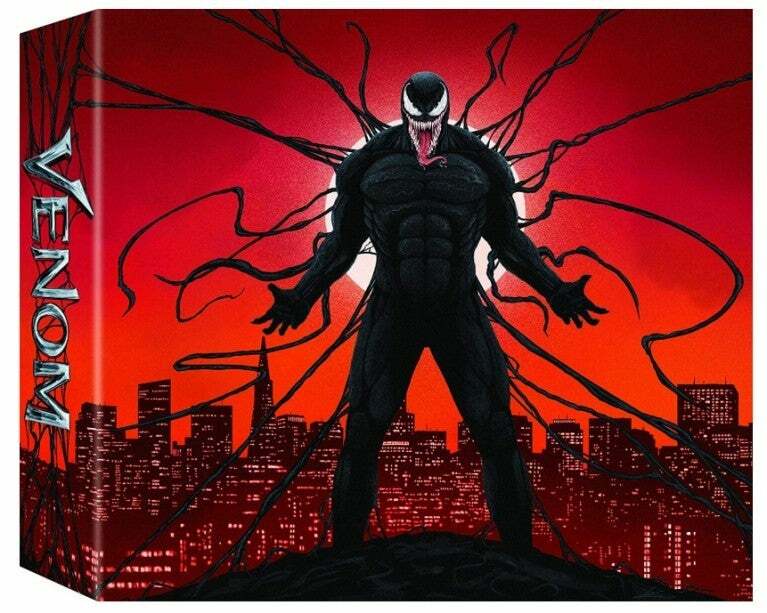 Best Buy’s exclusive steelbook is the latest in the Project PopArt line of upgraded packaging, featuring the titular half-man, half-alien on its front cover. The standard Blu-ray and DVD steelbook is priced at $29.99, while the same steelbook is priced at $34.99 for the 4K Ultra HD and Blu-ray set. The Target exclusive edition comes packaged with a 24-page gallery photo book, featuring images from the Ruben Fleischer-directed film and its set. The “hardcover gallery book” is available only as a Blu-ray-DVD-digital combo pack for $27.99. Venom has webbed up $846 million worldwide since its October debut, outgrossing Sam Raimi’s 2002 Spider-Man ($821m), 2004’s Spider-Man 2 ($783m), 2012’s Marc Webb-directed reboot The Amazing Spider-Man ($757m), and 2014 sequel The Amazing Spider-Man 2 ($709m). Sony’s new Spider-Man-less franchise launcher is still behind 2007’s Spider-Man 3 ($890m), where the character made his big screen debut, and 2017’s Marvel Studios-backed Spider-Man: Homecoming, the second highest-grossing Spidey-centric production at $880m worldwide. Star Tom Hardy, who plays investigative reporter Eddie Brock and alien alter-ego Venom, has already inked a three-movie deal to headline a Venom trilogy and is expected to square off against serial killer Cletus Kasady (Woody Harrelson) in its first sequel. Sony is eyeing a standalone feature for longtime Spider-Man foe and sometimes anti-hero Morbius the Living Vampire — to star Suicide Squad’s Jared Leto in the titular role, with Venomproducers Avi Arad and Matt Tolmach on board and already teasing Leto’s “awesomeness” — and is hopeful to start up projects starring supporting characters like Black Cat, Silver Sable, and Kraven the Hunter. The studio, which soon releases the animated Spider-Man: Into the Spider-Verse, has since dated two Marvel Comics adaptations for July and October 2020, dates likely staked for Morbius and Venom 2, respectively. Venom releases to 4K Ultra HD and Blu-ray December 18.